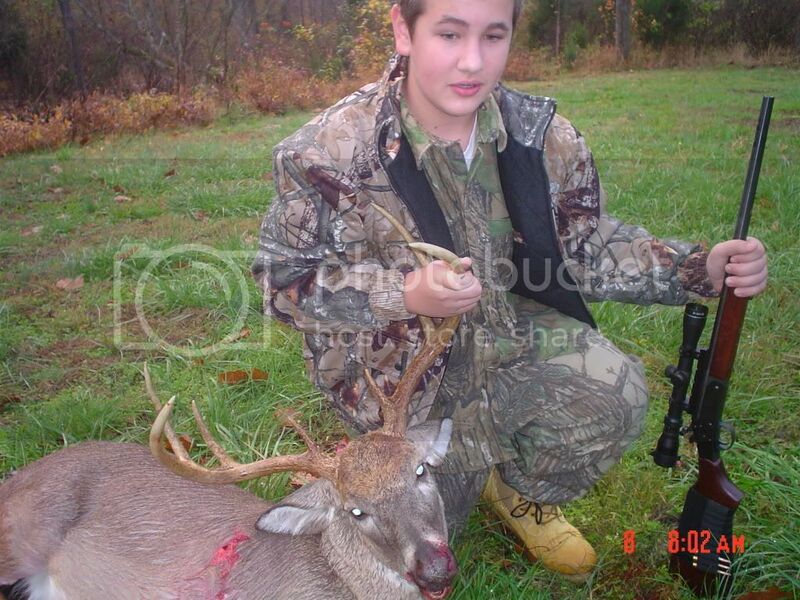 My 14 year old grandson with his first deer. It has a 21 inch spread and 10 point's this was his first hunt. 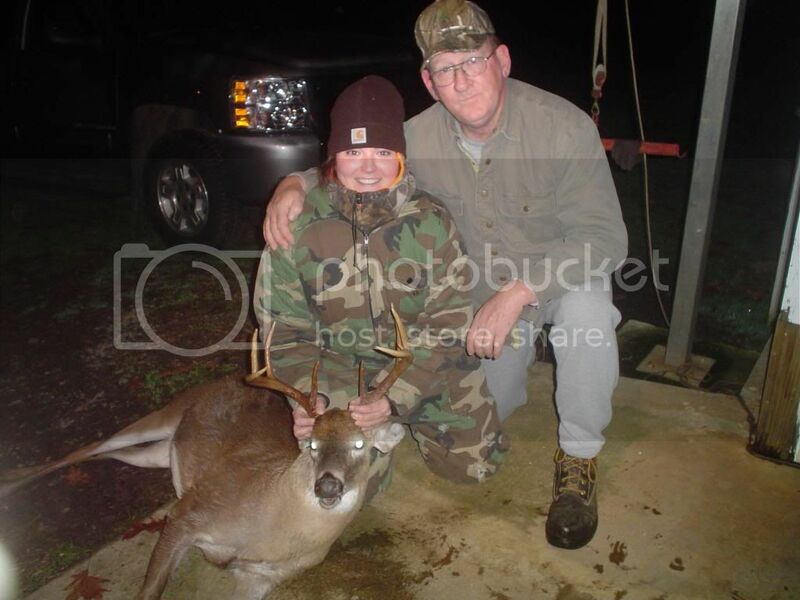 And this was done on my property here in Va.
My daughter with her 1st. Deer first time Deer hunting. A nice 9 point, the old man with her is me.